MAVINIA S has been a top-seller of ours for years. Our customers love it! However, they often asked if we had ever thought about including a coffee table in the set. Here at ARTELIA we take customer feedback very seriously. 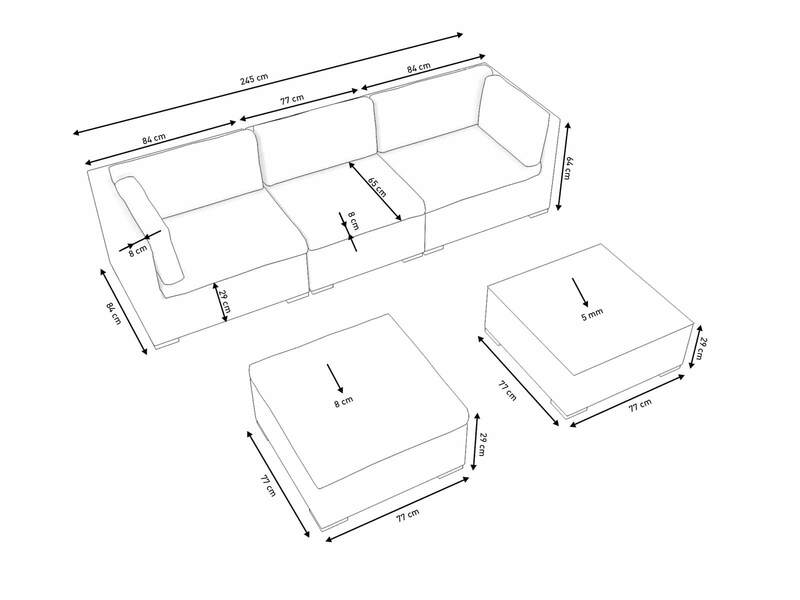 We now offer the sofa set with a coffee table, as well as a stool. And that’s how MAVINIA M was born! 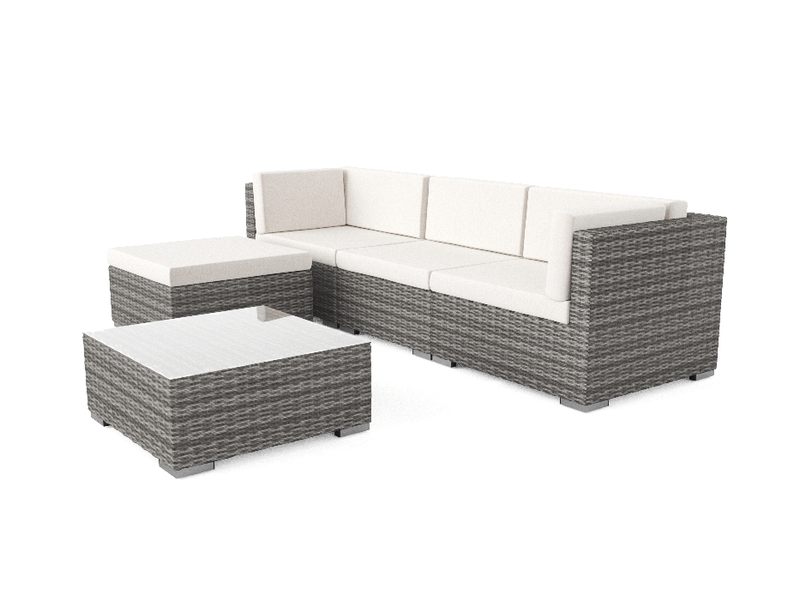 MAVINIA M is the perfect set for beginners in the world of rattan garden furniture. Its classic design and fair price make it a must-have. The frame of the set is made from robust powder-coated aluminium. The synthetic rattan is weather-proof. 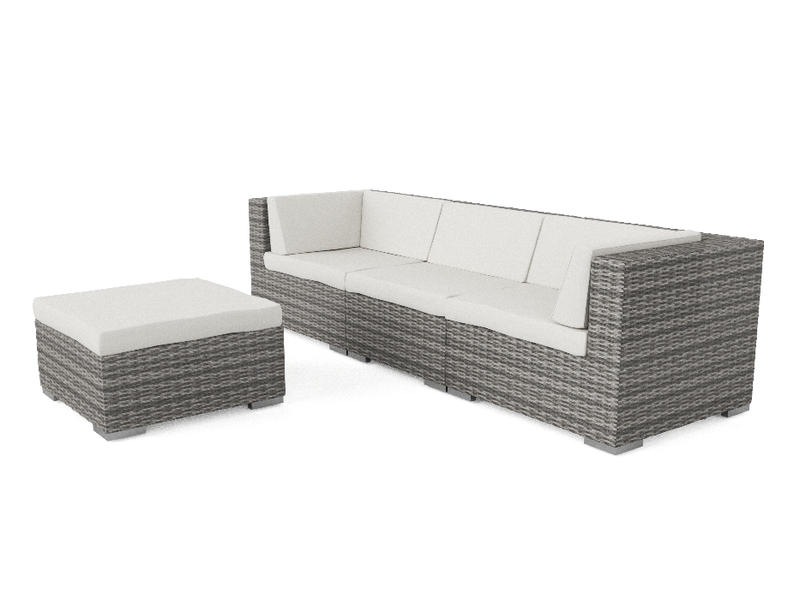 The cushions are water-resistant and comply with UKFR (UK fire regulations). The cushion covers are 100% polyester and the cushion filling is foam.